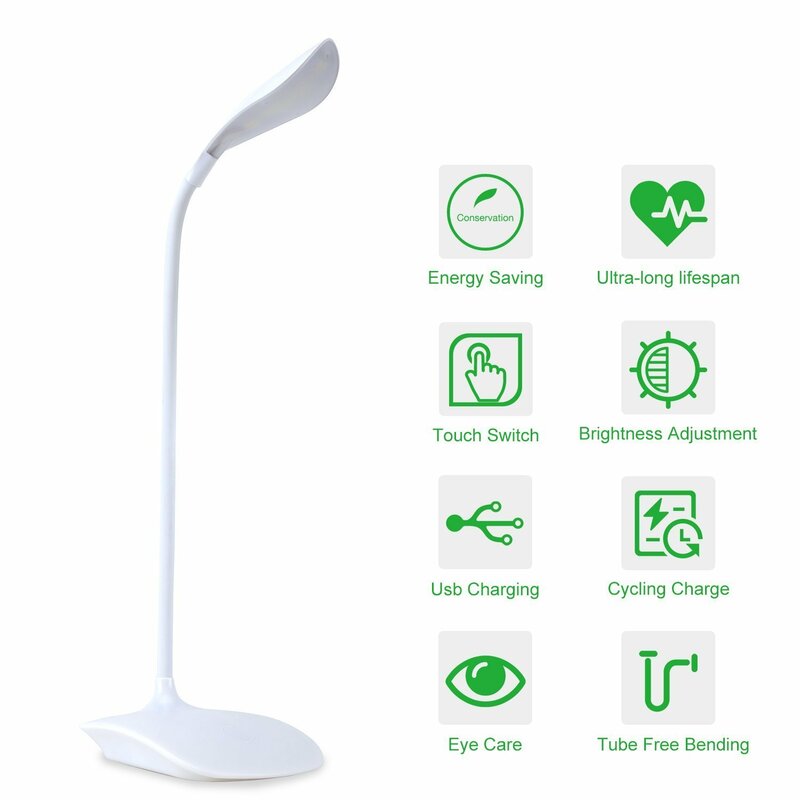 Home › Energy-Efficient LED Lighting › Diatekltiy Eye-Care Led Desk Lamp Portable Clamp Touch Dimmable Led Reading L..
Diatekltiy Eye-Care Led Desk Lamp Portable Clamp Touch Dimmable Led Reading L..
4-LEVEL BRIGHTNESS: Adjustable and dimmable lighting - 4-level, touch-sensitive control, different light modes meet your needs, and make your eyes comfortable. LED LIGHTING SOURCE: Made up of 2 lines of 24-led. Provide natural and soft LED lighting and non-flickering light for stress-free productivity and enjoyment, which care your eyes, protect your vision and reduce eye fatigue. DIFFERENT LIGHTING: It can adjust the brightness and turn into colors- 2 different colors(Yellow and white). Long press for the brightness, double clicks different color. FLEXIBLE GOOSENECK: 360 degrees rotation, flexible design with adjustable gooseneck to optimize your lighting source. ENERGY SAVING AND EASY TO OPERATE: Simple and stylish, no radiation, easy to operate, an art of a combination of modern technology and new design. It's a cycle charge LED lighting with a USB charge cable.